When European football anoraks look back at the 2015-16 campaign the temptation may well be to label it the season of the underdog. Leicester City’s odds-defying title win would be used as evidence, so too the relative success stories of other noteworthy minnows, like Angers of France and Serie A’s Sassuolo, both of whom have threatened to break up the traditional hierarchy in leagues that had, in truth, become almost boringly predictable. There has never been more money in the game yet, paradoxically, the financial gap between football’s haves and have-nots has failed to budge to any real extent due to large disparities in commercial revenue – if anything it’s getting wider, which is why the achievements of the Leicester and co. are all the more impressive. In Spain, giants Barcelona and Real Madrid dominate both domestic and international media coverage to such a degree that others sometimes fail to receive their own share of the limelight. Currently going under the radar – languishing in the shadows vacated by La Liga’s big two – are surprise package, SD Eibar, who are punching in the top half of the season ahead of the more established, and ultimately more monied, outfits of Valencia, Málaga and Deportivo. Eibar’s story is remarkable and dramatic in equal measure, with the unheralded minnows from the province of Gipuzkoa performing a gravity-defying, against-all-odds climb to the upper echelons of Spanish football. With the city of Eibar’s population standing at roughly a third of the capacity of the Camp Nou, and the club’s Ipurua stadium markedly smaller than those of English non-league sides Tranmere Rovers and Stockport County, theirs is a tale of folkloric proportion; one which may even trump the exploits of Claudio Ranieri’s Leicester City. Formed on 1 January 1940, following the merger of local sides Deportivo Gallo and Unión Deportiva Eibarresa, the club was initially named Eibar Fútbol Club, before changing to Sociedad Deportiva Eibar. Originally a part-time team, it was not until the 1943–44 season that it became a more serious, full-time operation. Such a move bore fruit in 1950 when the club achieved promotion to the Tercera División and then the Segunda División three seasons later. What followed was an underwhelming five-year spell in Spain’s second tier, which ultimately culminated in relegation back to the division in which they were to spend much of the latter part of the 20th century. Throughout their ensuing years in the wilderness – the club spent 25 of the next 28 in the Tercera – directors and supporters alike would indeed have been forgiven for believing that the club had found their level, and could never truly hope to muster an attempt at making the bright lights of La Liga. After all, this was a small, provincial team from a remote part of the Basque country that was overshadowed not just by regional rivals Athletic and Real Sociedad, but also a whole swathe of other more storied sides from across the Iberian peninsula. The dawn of the new millennium was widely heralded in some circles as a time for optimism, innovation and progression, yet Eibar spent the early part of the noughties yo-yoing between the Segunda and Tercera divisions in what was, for them, a period of instability. Relegation to the third division at the end of the 2005–06 campaign was promptly followed by promotion through the playoffs in 2007. Eibar had won its regional league and then proceeded to triumph over, first, Catalan side Hospitalet (2-0) in the semi-final and then Madrid-based Rayo Vallecano (2-1) in the final, but were still to surmount the next hurdle; surviving in the Segunda and thus consolidating their position in a league that had previously proven to be a tricky proposition for the men in red and blue. If the Basque side’s aim was indeed to stabilise then they failed, for Eibar continued to bounce between the two divisions. The club finished the 2008-09 season in a disappointing 21st, once again meaning that they were relegated to Segunda B. Then, it got worse; Eibar lost three consecutive promotion playoffs in what was a frustrating time for all concerned with the Ipurua-based side. As is so often the case for lower league teams, cup football provided temporary solace; an exciting escape from the day-to-day mediocrity in which the team found itself and an opportunity for the supporters to once again dream. Eibar’s big break came in the form of a 2012-13 Copa del Rey showdown with neighbours Athletic. The highly-anticipated Round of 32 clash pitted the club against Marcelo Bielsa’s star-studded side featuring the likes of Fernando Llorente, Ander Herrera and Iker Muniain. Few gave the minnows from Spain’s lower leagues any chance of causing an upset – especially with the second leg to take place at the intimidating cauldron of noise that is San Mamés – but a talented squad that would go on to achieve promotion the following season shocked a nation in edging out Bielsa’s men on away goals. Looking back in hindsight, it’s hard not to see the victory over Athletic as a catalyst for the success that Eibar are experiencing now, the first in a series of watershed moments in the modern history of this remarkable club. Sure, the Armagiñak went on to comfortably lose their last-16 tie against another La Liga giant Málaga, however that November night in Bilbao no doubt sewed a seed for the Gipuzkoan side. Not only did it fill them with confidence in their collective ability, it hinted that they were capable of even greater feats. Sure enough, Eibar earned promotion to La Liga for the first time in their history the very next season. Needing both a win over Deportivo Alavés and for fellow promotion rivals Las Palmas to drop points against Recreativo de Huelva, Eibar were locked at 0-0 with just over 20 minutes to play. Then, almost out of the nothing, it happened. From just inside their own half, a hopeful long throw forward was knocked on twice in quick succession by the home team’s midfielders. Jota Peleterio, a gifted left-footed attacking midfielder who had joined the club from Galician side Celta, picked the ball out of the Gipuzkoa sky, turned, and arrowed a bouncing 25-yard strike into the corner of the Alavés net. What followed in the stands was nothing short of pandemonium, yet Las Palmas were 2-0 up at home to Recreativo and as it stood, automatic promotion was set to evade Eibar’s grasp in the cruellest of circumstances. The hosts, perhaps with eyes and heads elsewhere, held onto their lead at Ipurua and headed for a dejected lap of honour – at that stage a miracle was required in order for Eibar to achieve promotion, and the deflated players knew it. Then came word from Las Palmas. It was the smallest glint of hope imaginable but Recreativo had pulled one back and were pressing for an equaliser. With five minutes left in Gran Canaria, Eibar’s players returned to the dugout to listen to the conclusion of the game that would decide it all. Huddled together in a manner befitting an archetypally close-knit unit, news arrived that Recreativo had scored a second at the death. What happened next was the sort of manifestation of ecstasy that normally only happens a couple of times in any person’s life. Players and supporters sprinted for the centre of the Ipurua pitch and embraced in what was a football-induced fiesta like few others. Eibar, a club deemed too small for Spain’s second division – never mind its first – had done it. However, their future remained far from certain, as another battle, this time off the pitch, was raging in courts and boardrooms up and down the land. While Eibar’s first team was embroiled in a season-long battle for promotion to La Liga, the club’s directors were, almost simultaneously, attempting to ward off relegation back to Spain’s third tier. In what seems like a paradox given their on the pitch success, Eibar were served with a court order to raise €1.7 million before 6 August or face imposed demotion, regardless of Segunda Liga results. Spanish footballing law requires that all sides in the top two divisions become what’s known as a Sociedad Anónima Deportiva, a special type of public limited company that supposedly paves the way for greater transparency and, ironically, improved financial management, but in order for Eibar to meet the financial obligations that go with such a transformation, the Gupuzkoan’s needed to stump up what was, for them, a sizeable chunk of money. 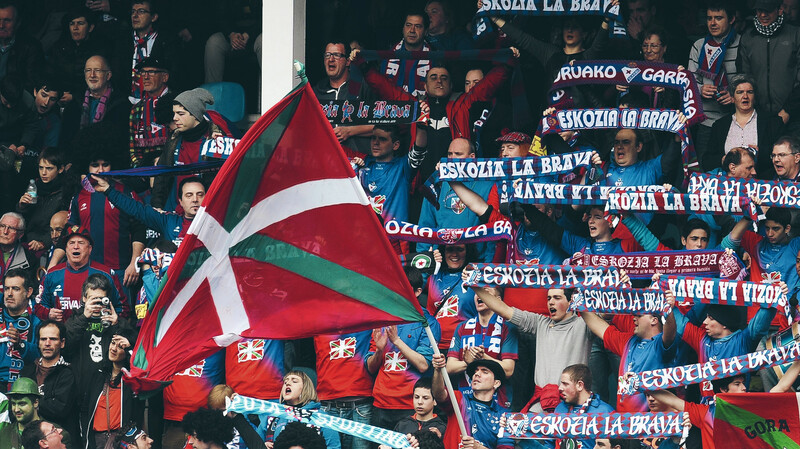 With this very much in mind, the men from the Basque country launched Defiende al Eibar, a forward-thinking initiative that allowed supporters to buy equity shares in the club in return for minor cash investment. At the time, club president Alex Aranzabal said he hoped the team’s promotion would help the club raise the money necessary to avoid the enforced demotion looming over their heads, however there were still more than a few doubts over Eibar’s ability to find the exact amount of investment in time. The club’s plight was now national news and help duly arrived from the unlikeliest of sources. After spending time with the club’s academy as a youngster, then-Real Madrid midfielder Xabi Alonso held Eibar close to his heart and was a high-profile supporter of the campaign to raise the required amount. In a bid to increase public awareness of Eibar’s situation, the gifted technician from Gipuzkoa was joined by fellow Basque and Real team-mate Asier Illarramendi in lobbying for investment for the Armagiñak. Tellingly, Defiende al Eibar was a resounding success and on 15 July 2014, the club announced it had reached the required figure, thus staving off relegation and sealing promotion to La Liga. Even better, the club was now in the hands of genuine fans, with no Russian oligarch or Saudi sheikh in sight. Eibar’s impending first season in Spain’s premier league was made all that tougher during a tumultuous close season. Usually, a side in their position would be expected to approach a milestone campaign such as this one with vim and vigour but Eibar are no ordinary team. 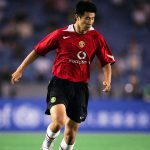 The club may have had no reported debt, yet this story of financial prudency brought with it the caveat that it remains exceedingly tough for a team of this ilk – whose most expensive player ever, up to that point, had cost a meagre €300,000 – to retain their star men when foreign riches are dangled in front of them. Jota, the man whose strike had made all of this possible, moved to English Championship side Brentford, while midway through the season defensive rock Raúl Albentosa went to Derby County after the Championship team offered to increase his salary 12-fold. Startlingly, these key players were enticed not by the continent’s best, but by the promise of large upgrades in salary from England’s second tier. It was another reminder of the club’s relative stature (or lack of it) in the game, not to mention the huge task facing the team on the pitch, but one from which they did, at least, temporarily recover. Amazingly, Eibar galloped out of the blocks come the start of the La Liga season, taking the division by storm and finishing for the winter break in an above-par eighth position. So far so good then, despite the pre-season prediction of relegation from Spain’s football experts. In a sense, the journalists and TV pundits were right; this sort of form was unsustainable and Spanish football’s answer Icarus promptly had its wings burnt off. Over the next 18 games they won just twice and when results elsewhere went against them Eibar were confined to relegation to the Segunda. But just when it all seemed over, a bolt from the blue, mirroring their own administrative woes the year before, handed the club the most unlikely of lifelines. Elche, who finished the campaign in a respectable 13th, were handed an administrative relegation, which gave Eibar, as the side occupying the final relegation position another shot at surviving in La Liga. At the moment, Eibar’s 2016-17 vintage are making a much better fist of La Liga than they did first time around. Under experienced new coach José Luis Mendilibar, who made no less than 14 summer signings in 2016, the Basques are thrilling with a brand of football that is not only pleasing to neutrals but also gets its just rewards on the pitch. While in 2014-15 the side’s initial early season success was built on solid defensive foundations and tight victories in close-fought encounters, this campaign, Mendilibar’s team have excited with a high-intensity 4-2-3-1 system that has married the more successful elements of the 2014-15 team with a real edge in attacking areas. A pass completion rate of circa 67 percent and average possession of around 43 percent may sound alarm bells in a league where ball retention is normally nine-tenths of the law, but as history tells us Eibar are not your average La Liga team, and are perhaps doing so well because they’re different to the rest; mixing up play in a similar vein to Leicester City. For so many neutrals the world over, this story, like Leicester in England, is one that keeps on giving. A warped moment in time that engrosses and intrigues in equal measure. Long may it continue.